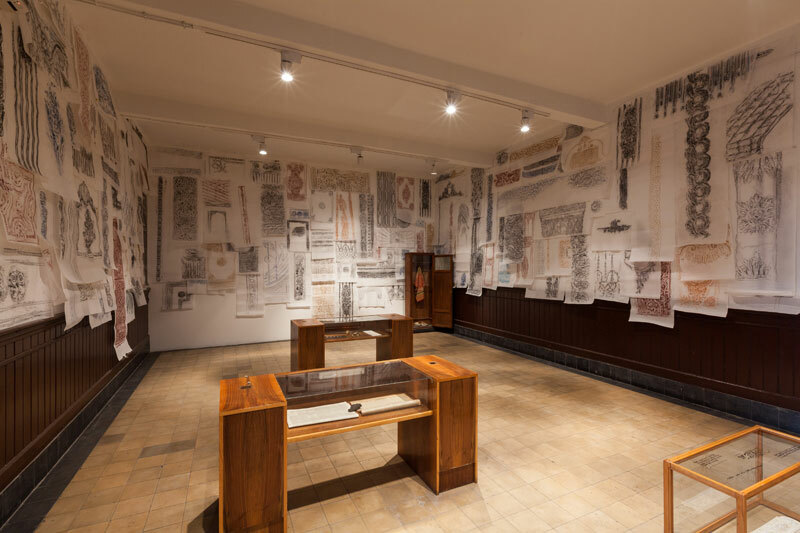 ‘SALTWATER: A Theory of Thought Forms’ marks the first curatorial outing of Carolyn Christov-Bakargiev since her much-lauded dOCUMENTA (13) in 2012. Practices that won the curator acclaim in Kassel appear again in Istanbul: art shares space with work by scientists, thinkers, and craftspeople; venues across the city, from hotels to car parks, are drafted in to host exhibitions. The entire city is a frame for art and SALTWATER feels deeply rooted in its location, with many new commissions made in response to issues of Turkish geopolitics and history. If anything, one feels too heavy a focus on Turkey’s past – its ‘festering wounds’, as Christov-Bakargiev says – rather than on the unpleasant and difficult reality of Turkey’s present. Nevertheless, of the many works on show, here are five favourites. Ersen’s duo of films, set on the ground floor of The Italian High School (one of the main Biennial venues), are scene-stealing, stage-setting devices for many of the themes that reappear across the biennial. Managing impressively to read as both love letter and critique, Ersen’s PowerPoint-style, constructed documentary films mirror the extent to which Turkey’s national project (like all other national projects) is a fabricated construct, and all the more socially potent because of it. The films deal with national myths, narrative and the role of objects and texts in constructing and perpetuating these myths. A particularly effective moment recounts the narrator’s visit to the Royal Museum of the Army and of Military History in Brussels, after which an attempt is made to provide a replica Turkish military uniform from the Second World War, to fill a noticeable gap in the museum’s collections. The narrator describes how the museum is unwilling to accept the replica, as it is not permitted to display copies of objects. A fascinating study of whether objective ‘truth’ is more important than an attempt to convey the story of history in all its messy richness. For a biennial held in Turkey, a country that refuses to officially recognise the atrocities committed towards the Armenian population in the early 20th century as genocide, a surprising number of works address the relationship between Turks and Armenians. New commissions and old work by, (among others), Paul Guiragossian, Arshile Gorky, Michael Rakowitz, Haig Aivazian and Francis Alys, are particularly noteworthy. Read more in our extended review. 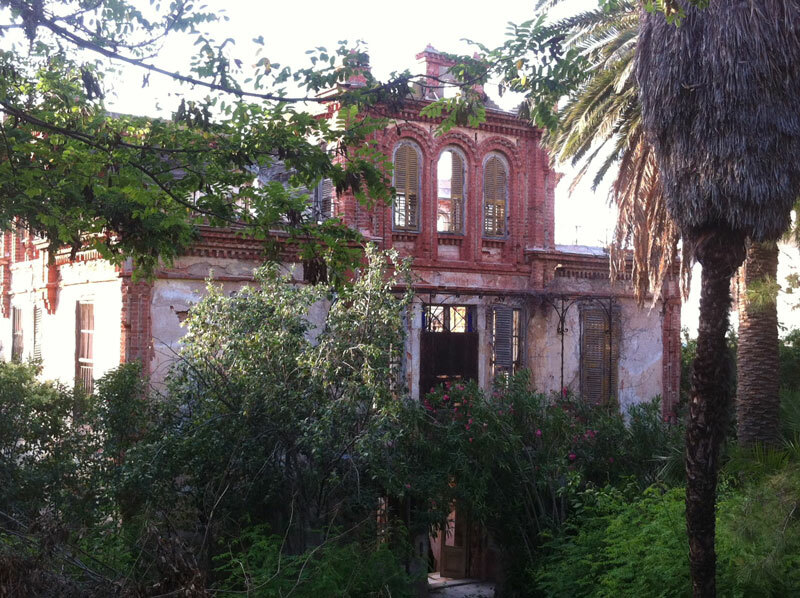 On an early research tip, the story goes, Turkish novelist Orhan Pamuk invited Christov-Bakargiev to Büyükada Island, less than 30km from Istanbul, to visit a villa where Leon Trotsky had lived in exile from 1929 to 1933, now ruined and awaiting development. 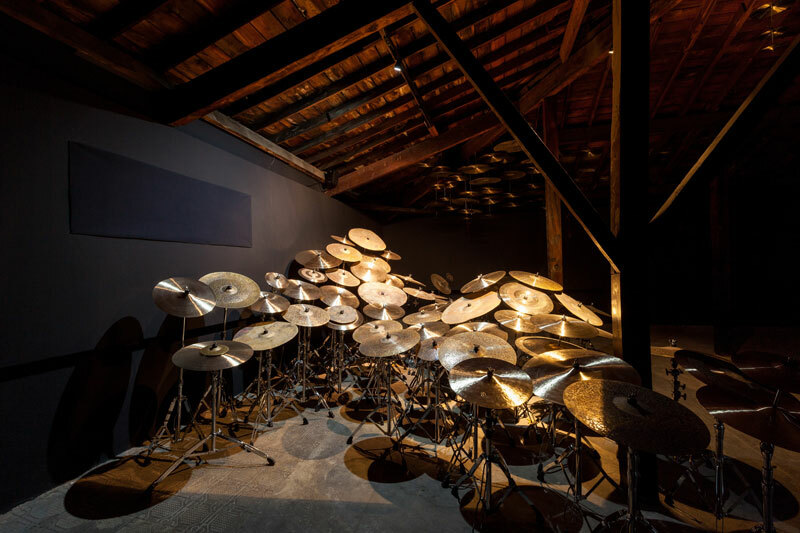 After visiting the ghostly house, Christov-Bakargiev decided to include it in the Biennial programme as an exhibition venue, later adding a further six sites to encourage visitors to make the boat trip to Büyükada. Argentinian artist Adrián Villar Rojas has installed a new series of animal sculptures on platforms in the sea at the edge of the house’s garden – all very dramatic and much admired during the opening. But, as so often happens with splendid settings, the sculptures cannot contend with the breath-taking ruin. As Delacroix once wrote, ‘Ruins…appear all the more impressive because of the missing portions… A finished building encloses the imagination within a circle…the sketch for a work gives so much pleasure [because] each beholder can finish it as he chooses’. Ironically, the house has recently been put on the market at $4.4 million. Caveat emptor: the buyer cannot finish as he chooses, for the house must be restored to its original design and then turned, most likely, into a museum. A long table dominates the entrance hall of the Istanbul Modern, its top covered with small models delicately crafted from flimsy materials – wood, wire, thread, mesh, acetate. Ibghy and Lemmens’ The Prophets speaks of the constructed nature of economic data, particularly when presented in visual form, as well as the socio-political value attached to certain kinds of information and to the interpreters of that information. Of course, the idea of economists as modern-day prophets is not particularly novel, but the precision and simplicity with which this notion is conveyed lifts it to a position of subtle provocation. While this new work at the Galata Greek Primary School, commissioned for the Biennial, doesn’t feel quite as resolved as some of Yang’s other projects – it lacks the demented brilliance of his Flying Gardens of Maybe – his chiaroscuro installation connecting moons, cymbals and Istanbul to the Bosphorus via twin tales of Greek mythology and the planet Jupiter provide a much-needed alternative approach in the face of unrelenting historico-political analysis elsewhere. 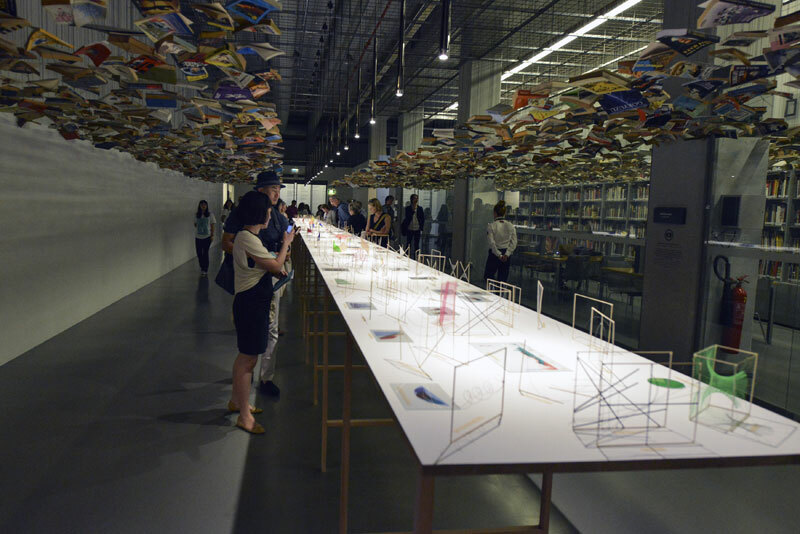 The 14th Istanbul Biennial, ‘SALTWATER: A Theory of Thought Forms’, runs until 1 November 2015.